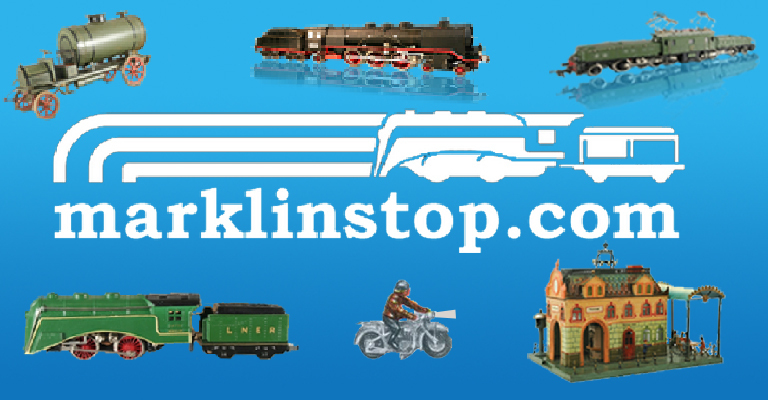 It’s a rare opportunity to see a layout that combines both the appeal of a vintage Marklin layout and the realism of modern layouts. 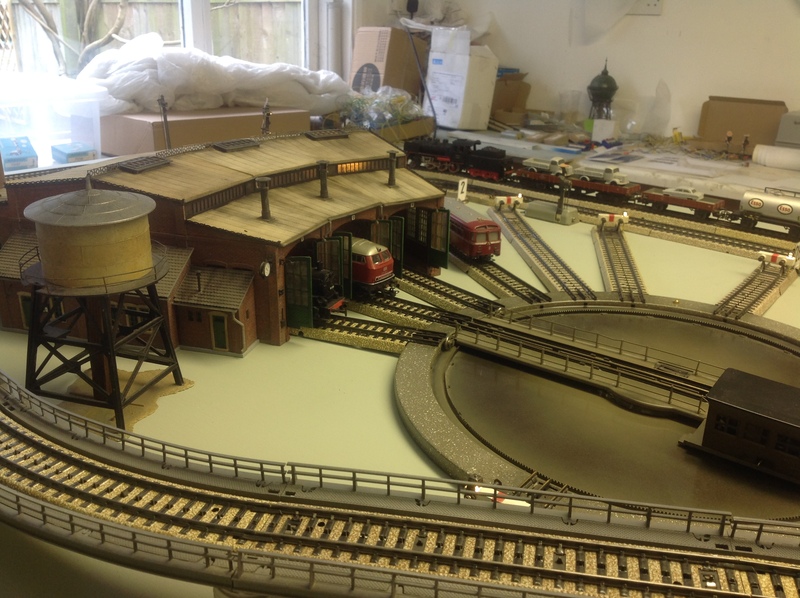 Stephen Best of the United Kingdom blends these two styles together, creating a wonderful Marklin layout. 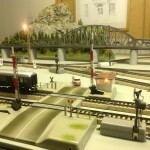 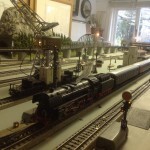 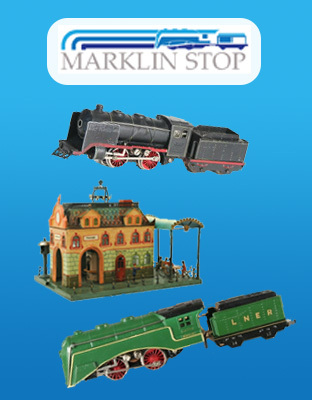 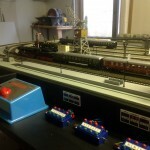 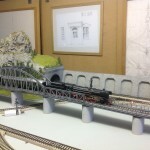 Mr. Best is an experienced professional model maker and some of his work can be found on his website. 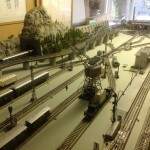 At first glance of the layout, one’s attention immediately goes to the jagged rocky mountain sitting in the middle of the layout. 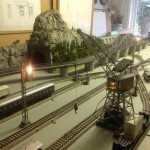 A train runs right through it while passing a bank of arched retaining walls and rock facing on the other side of the tunnel. 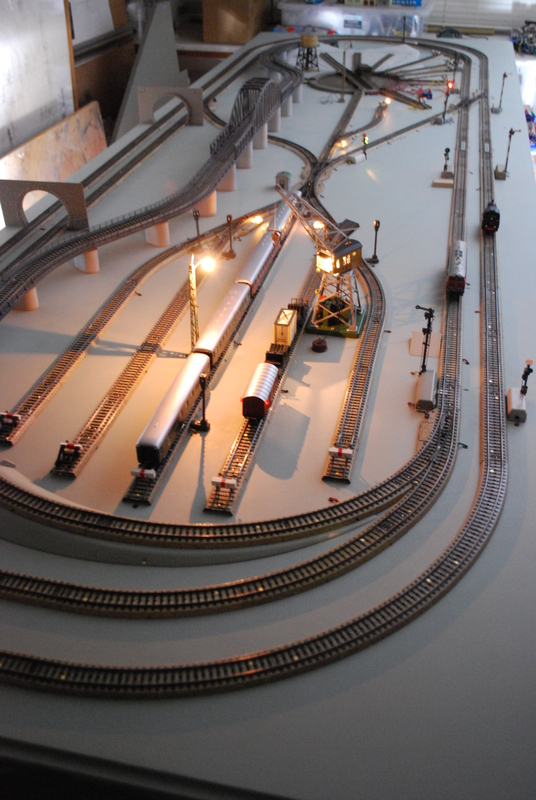 The surrounding areas remain relatively simple, allowing the trains and track to take center stage. 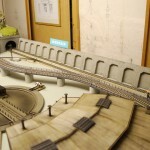 This style was common with Marklin layouts from the early days. 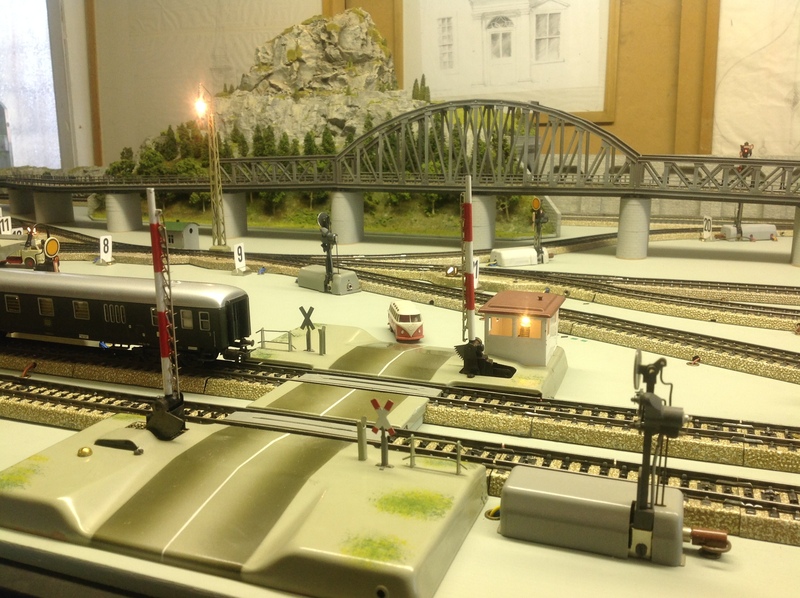 Marklin 00 Scale factory layouts from the 30s to the 50s commonly had nothing more than track, a few lights, signals, and buildings all on a single color high-gloss table. 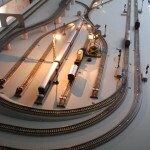 Today many layout builders recreate this surface by using vinyl sheets or tiling. 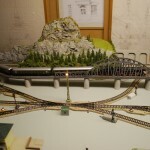 The simple table places all the attention on the trains. 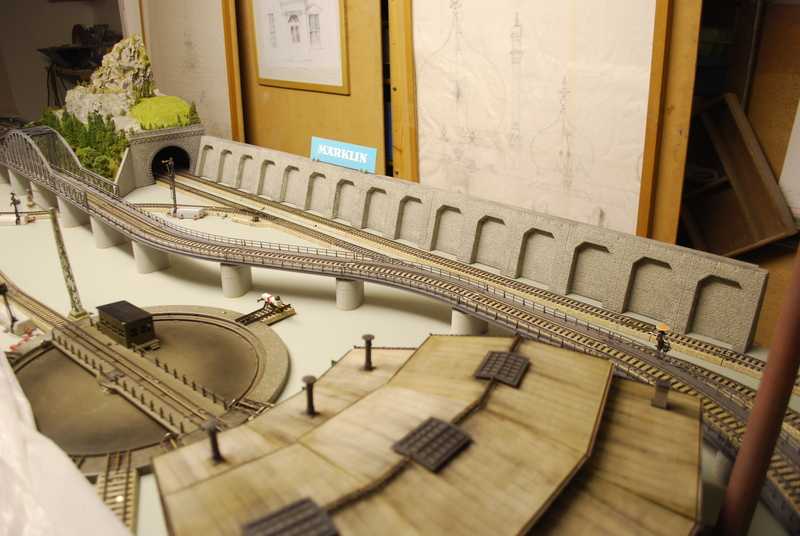 After all, Marklin’s incredible feat was in design and engineering and not trackside scenery! 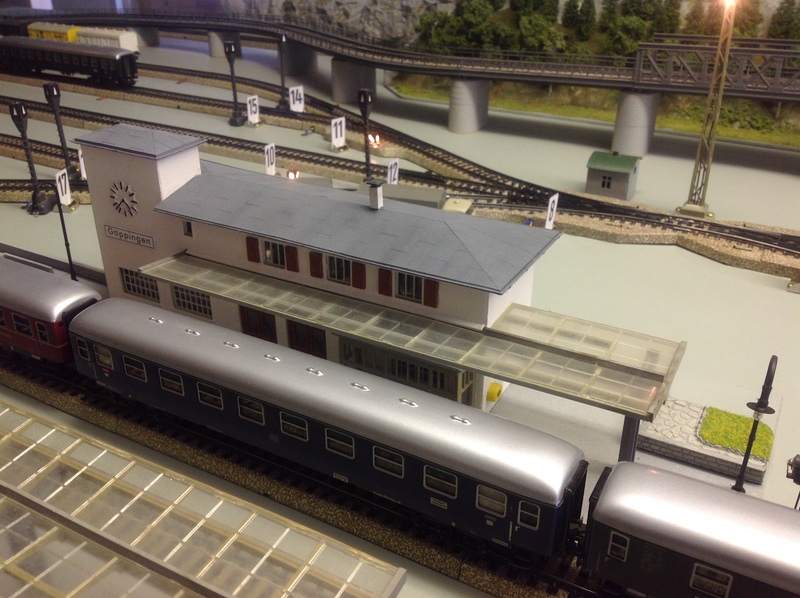 The main train station on the layout was cleverly renamed to “GOPPINGEN” as a homage to the Marklin factory in Goppingen, just a few hours outside of Stuttgart in Germany. 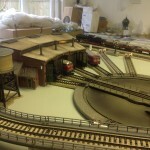 When building the layout, Stephen tried to balance the style of the old tin accessories and track with the more detailed Vollmer buildings. 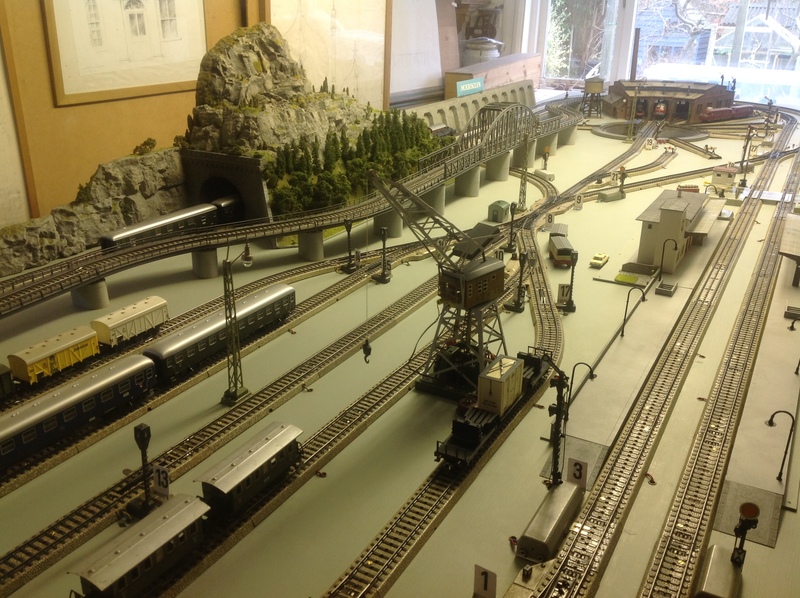 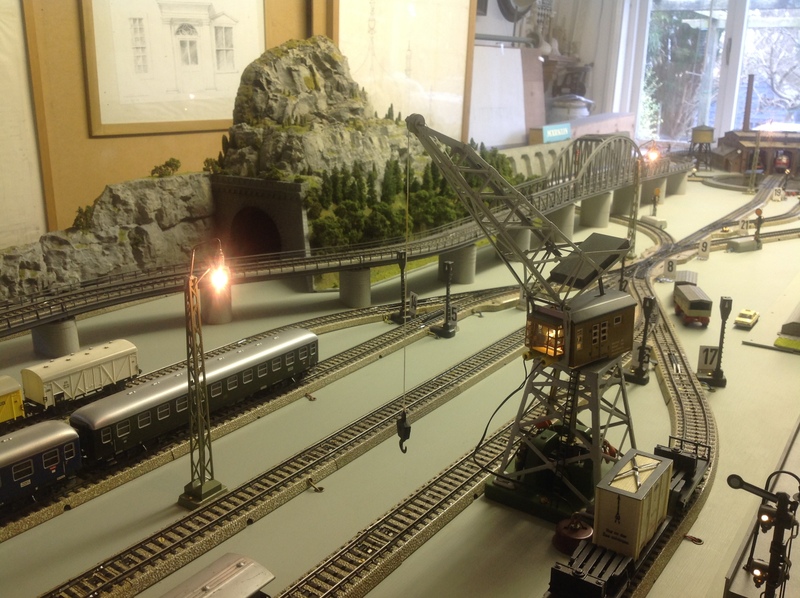 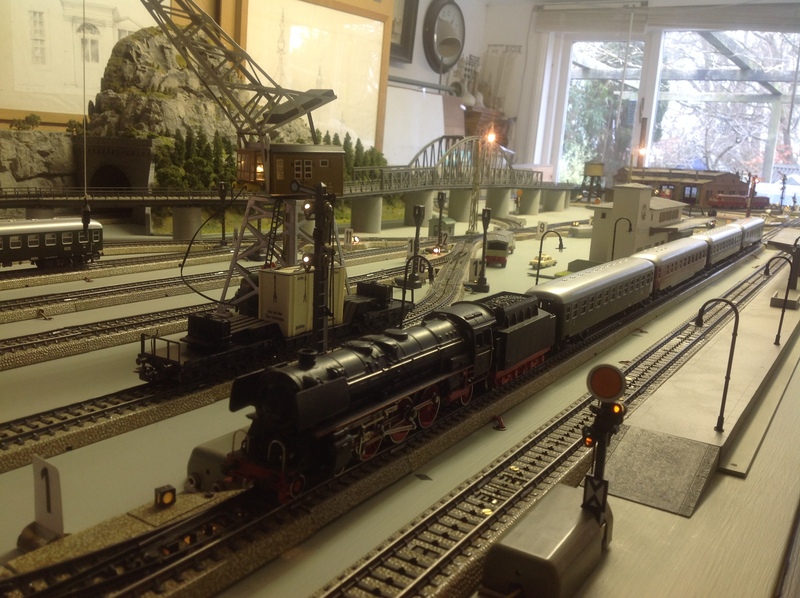 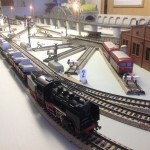 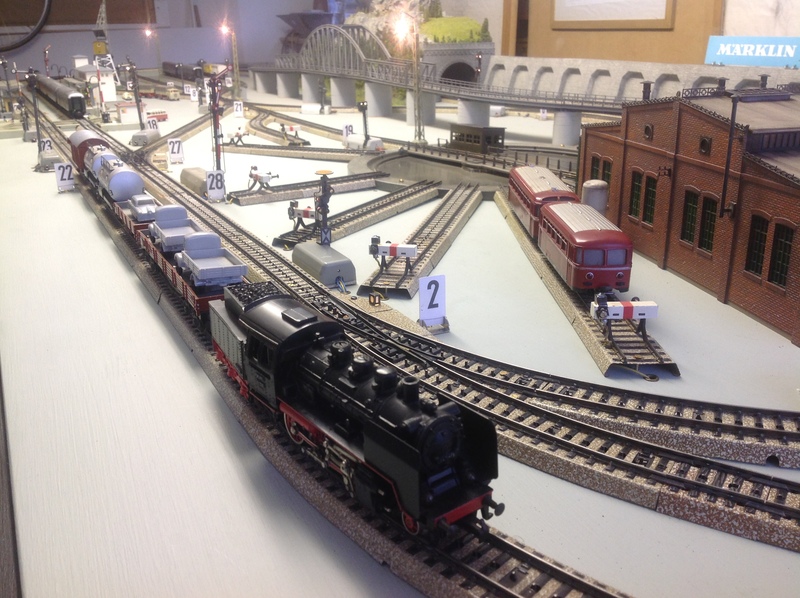 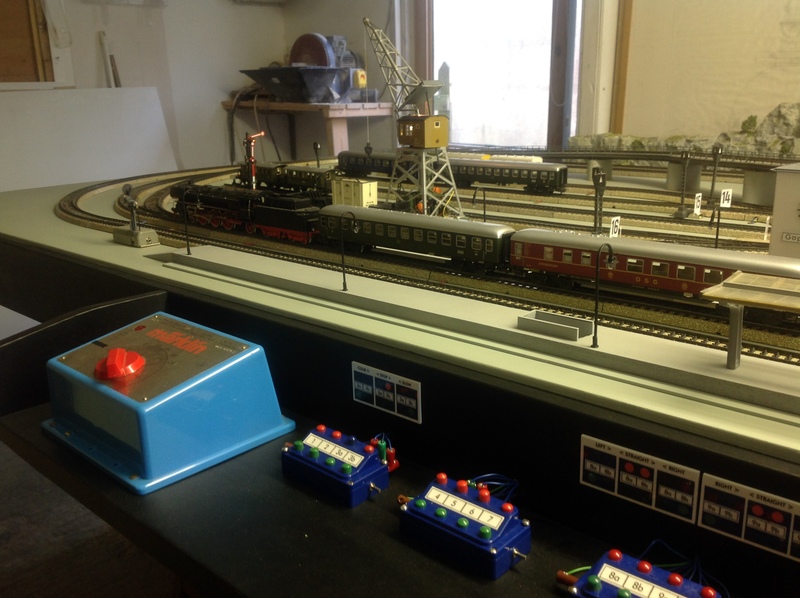 The layout provides a wonderful setting for the many trains that run on its tracks. 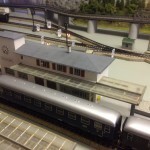 To name a few, the DB 800 K railbus sits adjacent to a 3-stall roundhouse. 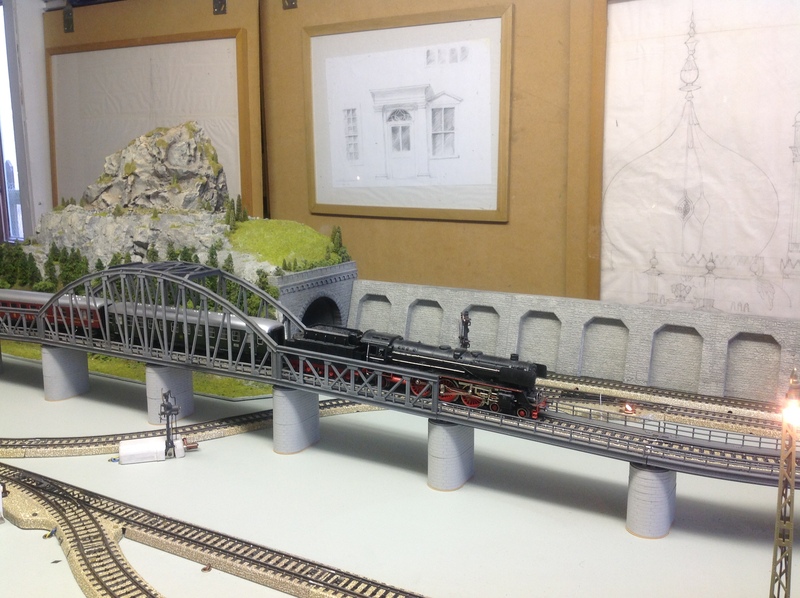 Pulling a long string of passenger cars, the steam locomotive F 800 chugs around the layout and ventures up to an elevated track that runs around the roundhouse. 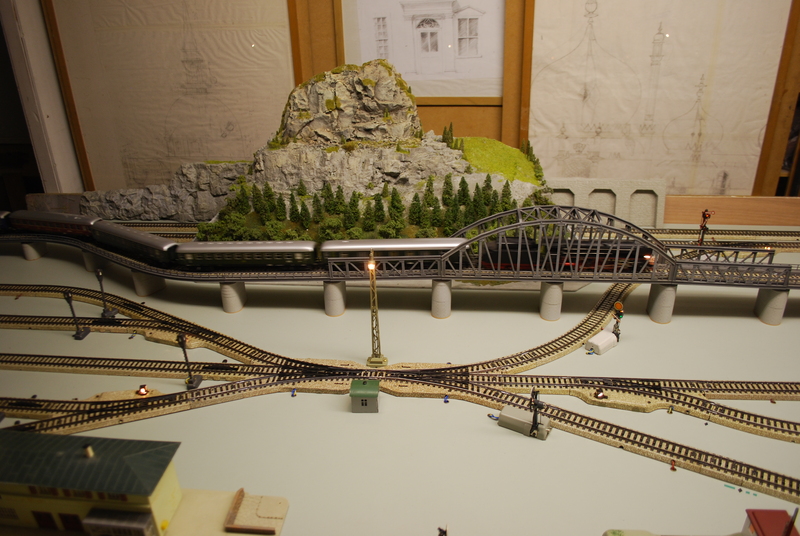 Smaller in size, the 3003 hauls some vehicles and tank wagons.